Quite a large amount of lumpy sediment. Opaque with dark red rim. Interesting nose of raspberry, orange and freshly cut hay. Medium sweet and fleshy in the mouth but with a rather dull palette of overripe cherries and a hint of marzipan. Not much depth there. Reasonably long aftertaste with a tiny amount of tannins. 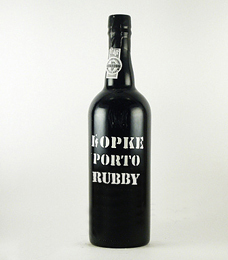 A decent but rather dull Port with a nose promising more than the palette delivers.